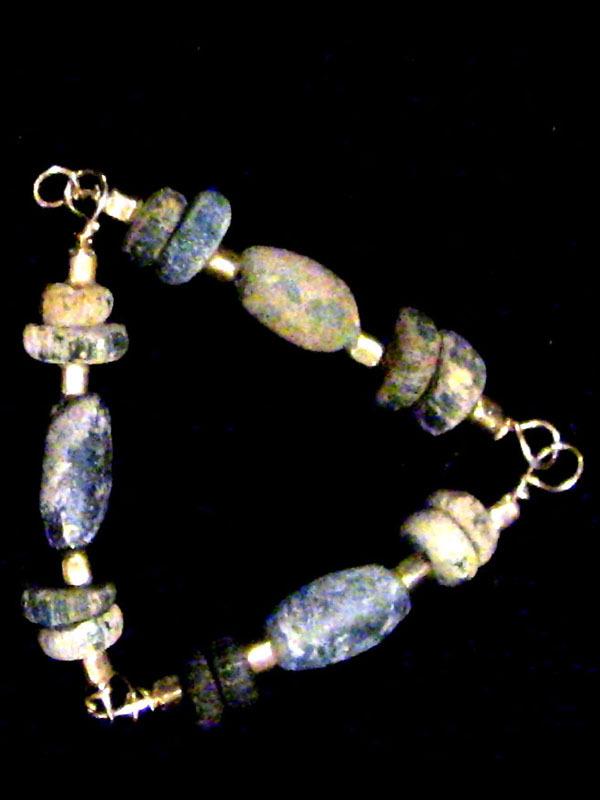 Ancient Cobalt Glass & Gold Spacers in modern gold wire reconstruction. The Triad in the above photo involved several odd and rare items. First is a set of very highly patinated blue cobalt “tear-shaped” glass beads, about 2,000 years old, dated at about the first century B.C. and the large, rare “rondel” glass beads are doubled up, making this a triple-loaded ancient glass Triad, with solid high-karat gold beads and 14k gold core wires, a bargain that cannot be repeated.